Desktops computers soared to popularity in the 1990’s and became a household item, like a microwave, or a television. 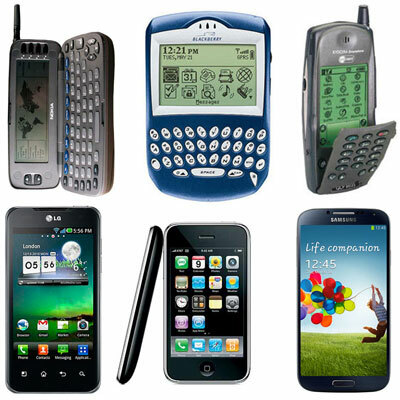 In the 2000’s a new normal revolutionized on the go technology with mobile phones. The evolution of mobile phone technology ultimately lead to the status quo of the smartphone, which are ultimately monopolized by Android and Apple. Easy access to calendars, contacts, email, social media and anything else you can dream of have made the smartphone an irresistible appeal to the on-the-go population all around the world. Whether you’re a high-class business person trying to keep up with clients or a 13-year-old girl uploading a handful of selfies a day, up to 60% of the world’s population uses a smartphone, according to eMarketer. It is also predicted that the world’s smartphone addiction will increase to 70% use in the next 5 years. So what does this mean for the smartphone’s older, wiser relative: the desktop? 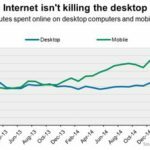 Not much, according to Rebel Interactive Group, who insists there is no fight between a mobile computer and a desktop computer, especially when it comes to digital marketing. Desktop marketing is not dead. In fact, it is thriving. 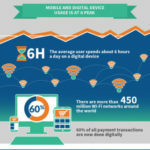 According to Rebel, most consumers utilize both desktop and mobile marketing, just in different ways. Mobile marketing has the upper hand with consumer engagement, because mobile users are more likely to share a product, business or engage with a company on mobile social media. 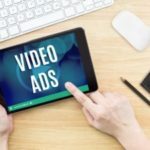 Video ads are more effective on mobile devices, because the ad seems more prominent on a smaller screen. Mobile marketing also flourishes with location-based advertising for consumers who need to find a product or services near them at an exact moment. Desktop marketing is in no way ineffective and still maintains distinct advantages over mobile. Large displays give your company a chance to stand out and grab a potential customer. 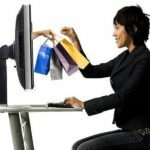 Most importantly, people are creatures of habit and will stick to the comfort and familiarity of a full-sized computer. While it is important for businesses to keep up with new digital marketing trends to keep their products relevant and their consumers involved, that does not mean disregarding previous methods of marketing that have proven to be effective as well. 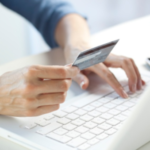 Multiple sources of advertising allow for a higher potential return from consumers who click or convert. According to MarketingProfs, consumers are still converting at a higher rate on desktops than on mobile devices, although the click through rate us higher on mobile devices. 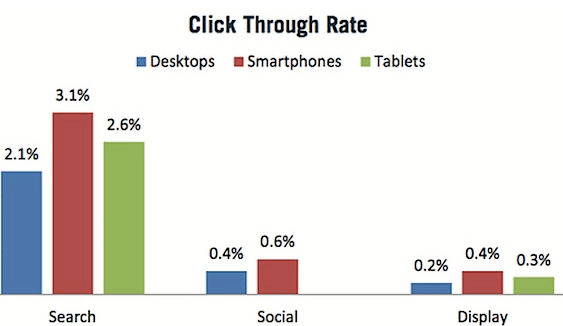 Smartphones only edge out desktops in Click Through Rate, not conversions. 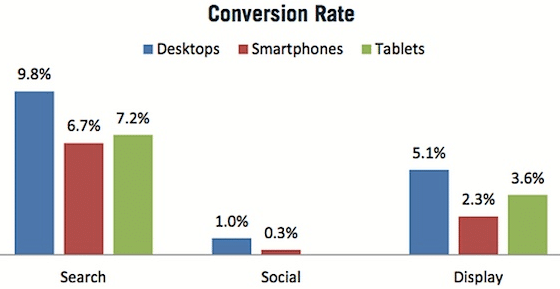 Desktops maintain more effective in Search Channels, and Smartphones close the gap in the Social Channel. Because there are specific advantages to each marketing device, it is important for your business to understand how to utilize both desktop and mobile marketing in order to maximize your return. Using both desktop and mobile marketing makes it easier to capture consumers when they’re home, when they’re out and allows and effective mix of engagement and selling.